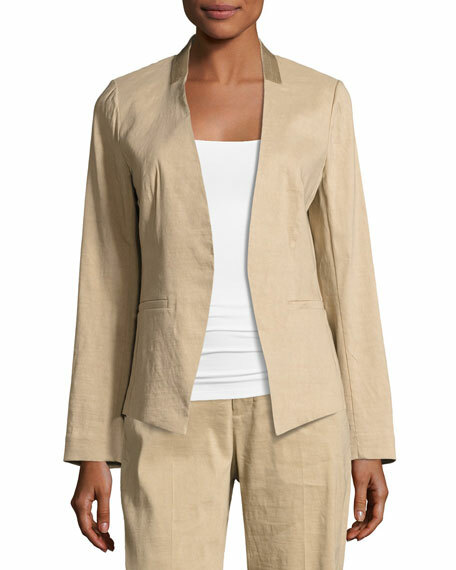 "Claudia" linen-blend blazer jacket by Kobi Halperin. 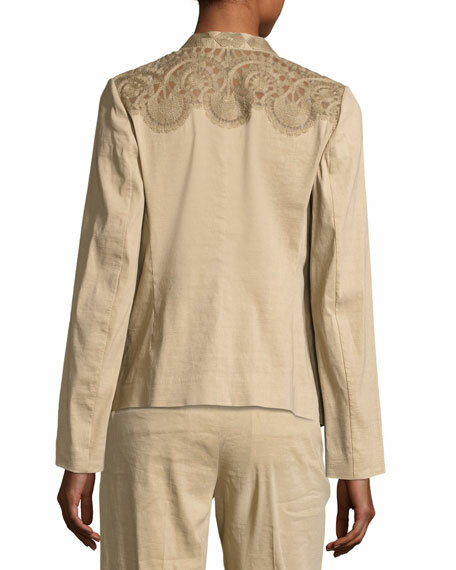 Sheer lace yoke at back shoulders. Partial stand collar; open front. For in-store inquiries, use sku #2099719.